Bumrah's 47 wickets in 2018 are the most by an Indian bowler in away Tests in a year. Bumrah's 47 wickets are also the most by an Indian in their debut year. India's bowling coach Bharat Arun on Saturday said that Jasprit Bumrah's unconventional bowling action has made him one of the most lethal pacers in world cricket as his deliveries are difficult to be picked by opposition batsmen. 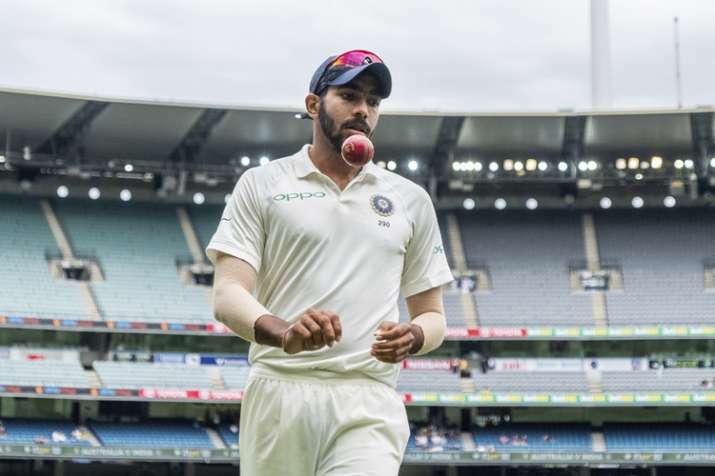 Bumrah, who has so far taken eight wickets in the third Test against Australia here, has 47 Test wickets in his kitty after making his debut in January. "What makes him (Bumrah) so special is because he is so unique (in his bowling action). Maybe the batsmen pick up his balls a little later than which they normally do from a clean action and that makes him so much more potent. Of course, for any fast bowler to be bowling 145 clicks and above consistently over a period of time, you need to generate a lot of speed from your arms," Arun said. "We were extremely confident of Bumrah doing well even before he started playing Tests because he was unique and most batsmen who played against him said it was difficult to pick him," he said at the post-match conference after the fourth day's play. Australia were left struggling at 258 for 8 in their second innings as the Indian pacers shared five wickets on the fourth day. India need two wickets on Sunday to take an unassailable 2-1 lead in the four-match Test series. Arun said that the coaching staff needed to work on the 25-year-old Bumrah to keep him strong as his bowling action puts a lot of strain on his body. "I had the opportunity to work with Bumrah when he was at U-19 level and when I was with NCA. I felt Bumrah was able to generate a lot of pace with his action, but puts a lot of strain on his body. It was a challenge and we had discussions with the physios and trainers. We came to the conclusion that we need to work on him to become extremely strong to be able to sustain his bowling. "He was someone who did exceptionally well in the domestic championships as well. So, we thought we would give him a go," the bowling coach added. Arun termed 2018 as the breakthrough year for the Indian pacers as they have succeeded on three successive overseas tours in South Africa, England and Australia. "Definitely yes (this is the year). Right from the period we started the tour of South Africa, England and right now, they (Pacers) have done exceptionally well. Recently I was told that they have broken the record of West Indian trio and that speaks volumes about these fast bowlers," he said. "It is a combination of a lot of work, identifying what it requires to be bowling fast over a period of time, the strength-conditioning coach Shankar Basu and physio have played a major role in making these fast bowlers. I think load monitoring is extremely crucial if you want them to last over a period of time, and their inputs become extremely important. I think it is teamwork," he added. Arun said the current team has a bunch of very good fast bowlers together, not unlike the past when there were one or two. "There have been great fast bowlers but this is the first time India has had a bunch of bowlers. We had great bowlers like Zaheer Khan and Kapil Dev earlier but to have 3-4 bowlers together it really augurs well for Indian cricket. Now they have proved over this past year, they are fast, mean and they can be consistent," said. 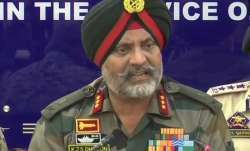 He also said that the IPL and domestic cricket have helped in developing this Indian bowling attack. "One, I think IPL is a great platform for youngsters to showcase their skills and also rubbing shoulders with top international cricketers in the dressing room would work a long way in improving their confidence. When they do well at the IPL, they feel they belong to the international level. IPL has had a great impact on Indian cricket over the last 10 years," said Arun. "Most Indian bowlers when they play domestic cricket back home, they use the old ball very well. In subcontinental conditions new ball does not move much, most conditions are conducive to spin. So for fast bowlers, the only way they make an impression is if they learn to use the old ball or reverse it. The domestic structure in India has really helped these fast bowlers to evolve." Asked about Ravindra Jadeja only featuring in two overseas Tests this year, Arun said, "Jadeja has matured a lot over the years. He has gained a lot of confidence and the way he did in England at the Oval, we can be quite confident that Jadeja can lead the spin attack. "I would say that a spinner maturing is about him understanding and discovering himself. And how he does it is trying various angles with which he can bowl and variations in the position of wrists. In the last couple of years, Jadeja has learnt quite a lot and that has helped him evolve from what he was earlier."